Latest News & Courses at the Clarina Community Resource centre. 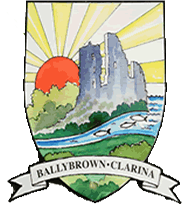 Comhaltas: Ballybrown Christmas Concert will take place on Wednesday December. 9th in the Community Centre, from 7 – 8…. ONE CENT AND TWO CENT COIN COLLECTION : There is a bucket for your unwanted coppers in the Resource Centre Office. All donations welcome…. New 4 week block of Pilates starting Monday 16th Nov @ 10.30am and Wednesday 18th Nov @ 6pm. registration for these classes will be on before class…. 45 DRIVE: The weekly 45 Drive in the Resource Centre resumes on Thursday September 17 at 8.45pm. All welcome…. The new flowers are due to be planted outside the community resource centre shortly. they will certainly brighten up the outside of the centre….